archita August 15, 2018 Indian Traditional Games, Online stores, Where to buy? Can Indian Traditional Toys still Interest kids? Yes, this is the first and foremost reason why Indian traditional toys attract kids. These are beautiful; where it be the play of black, green and yellow colours on Kondapalli Ambari Elephant or the brightly painted Etikoppaka Military Tank Toy. The dancing dolls of Tanjore are loved by girls. Kids love colours and these wooden structures allure them with a variety of paints. Yes, traditional Indian games like chess takes the kids to the land of fairy tales. 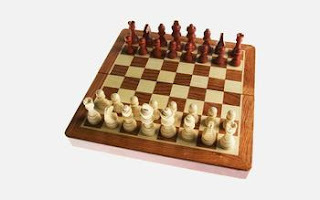 The wooden board becomes a battleground and the pawns your child’s soldiers. Your child takes the role of a king and controls all the 13 pieces on the board. Through this kind of game kids come to know about the rich Indian culture. If books don’t interest them, it is a good way to teach them history. Children don’t get easily bored with Indian games because these compel them to think and strategise. This is one of the prime reasons why parents should also encourage kids to play traditional Indian games. Indian games are mind stimulating, like the Chauka Bara Four-Player Game / Ashta Chamma; kids learn to think and strategise. Indian traditional games are team games. This is one of the main reasons why kids still love these. 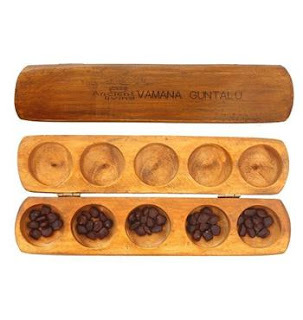 Games like Vamana Guntalu, Corner the Tiger / Puli Meka or pachisi can be played by multiple players at one time. So these games relieve the children from loneliness. Your house is bound to get filled with the laughter of kids as they engage in these fun games. 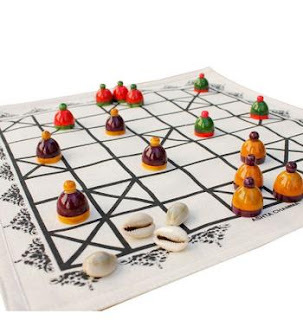 These traditional games from India can be played anytime, anywhere. The games are primarily painted on clothes and can be folded after use. These are available in good quality jute bags and can be stored easily. Now train tours are fun rides for kids with these beautiful Indian toys. Some of the famous Indian toys are the Etikoppaka toys. These are made with soft wood available at the forests of Andhra Pradesh. The paints used on these toys are made with the extracts of roots, barks, leaves and vegetables. So gifting these toys to your kids you are actually bringing them close to nature. So evoke the sense of social well being among your children gifting them these nature friendly toys. Toys have always been an integral part of Indian culture; ever since the Indus Valley Civilisation. Unlike the fancy modern day toys, the traditional toys bring children close to nature; they are acquainted with real life and boosts their mental growth. So let them get the feel of real India with the help of Kondapalli toys.